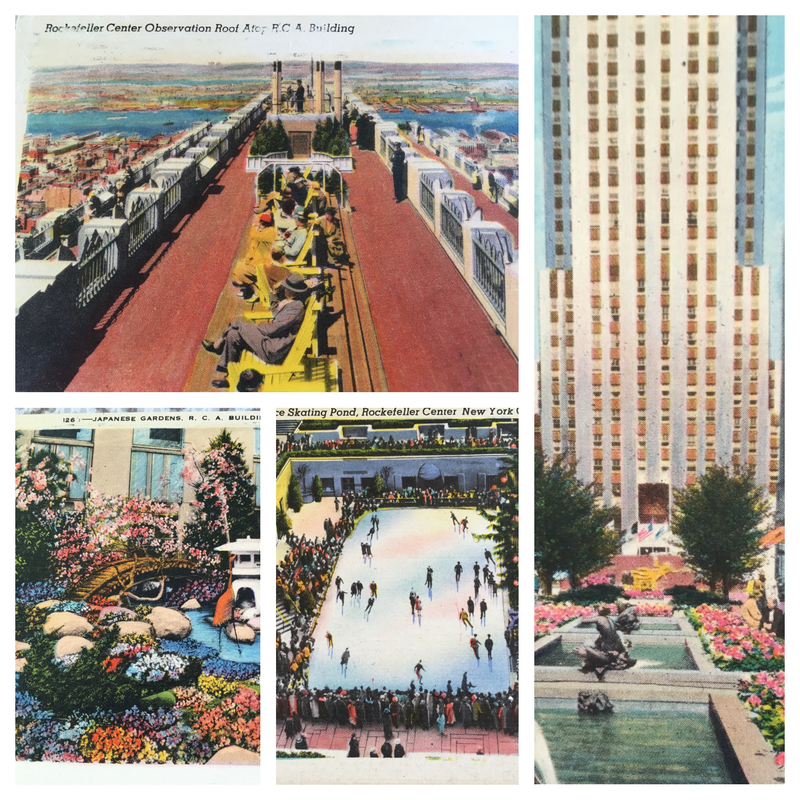 Thought I’d share some old New York postcards of Rockefeller Center on the eve of my trip to The Random House Open House this Friday–always love meeting fellow authors and wonderful readers. I’m excited to be doing a debut author panel with some incredible writers-Imbolo Mbue (Behold the Dreamers), Catherine Banner (The House at the Edge of Night) and Emma Cline (The Girls). Curtis Sittenfeld (Eligible) and Paula McLain (Circling the Sun) will share their author experiences as well. How fun is that? Random House is doing some sharing of their own-bringing you the day live on Twitter so come and join us at #RHopenhouse. 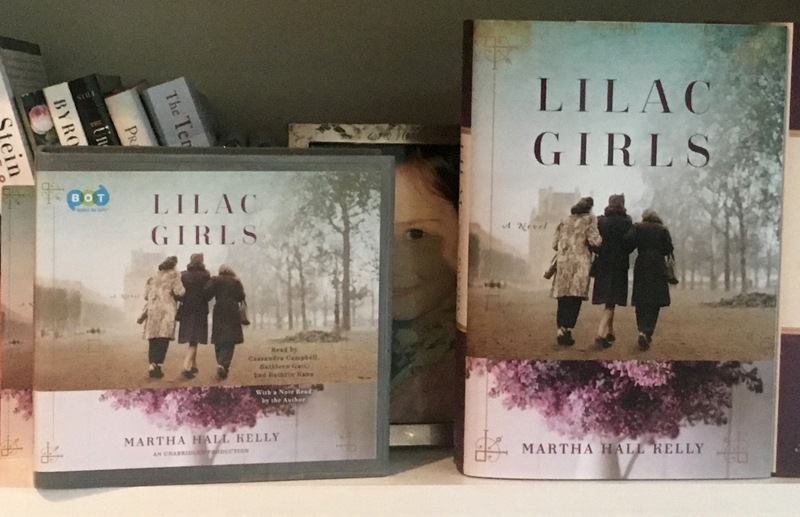 Love The New and Improved Lilac Girls Cover Complete With Those Four Little Words. New York Times Bestseller. Be still my heart. 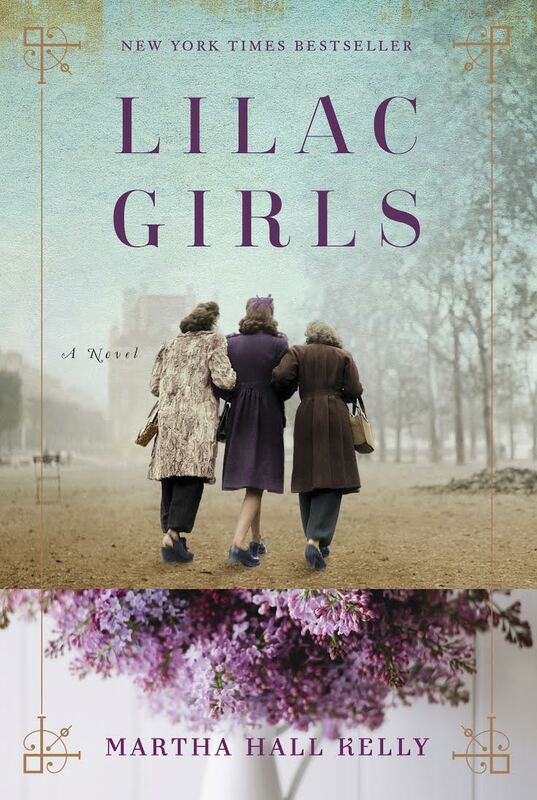 The gorgeous Lilac Girls cover just got more gorgeous. Can’t wait to see it in bookstores! 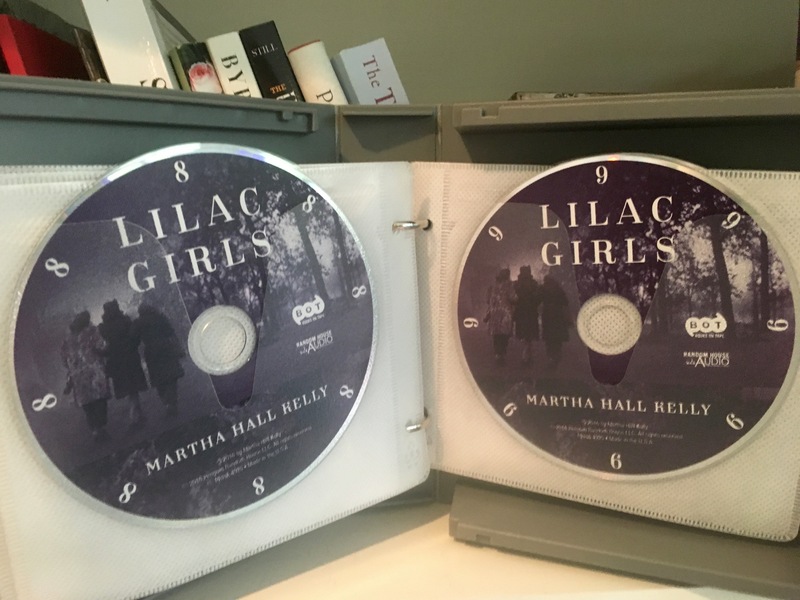 Wonderful Random House packages keep showing up on my doorstep, this one bearing the Lilac Girls Books on Tape audiobook. It’s gorgeous, packed in a sleek gray case, the perfect little sister to the hardcover. I popped the first CD into my desktop and started listening to the incredible Cassandra Campbell read Chapter One. A lovely, surreal moment. 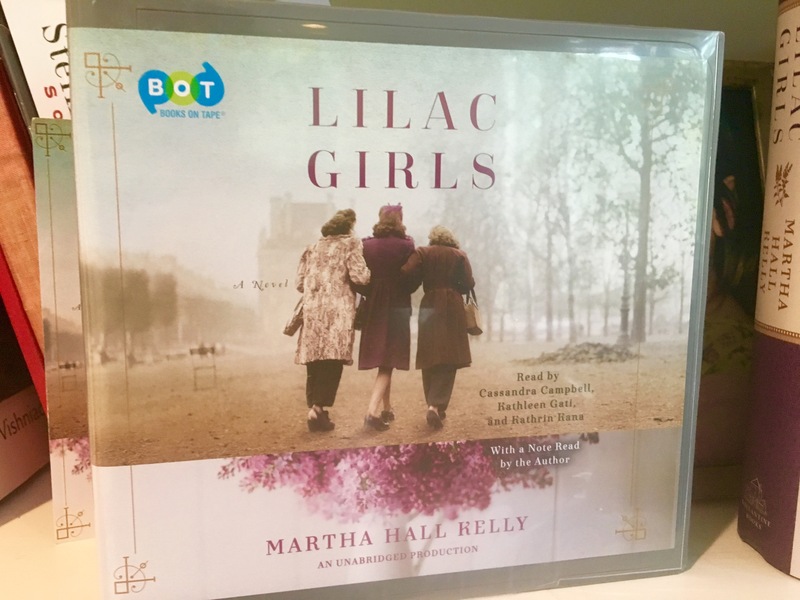 Can’t wait to hear the other two narrators, Kathleen Gati (of General Hospital fame) who plays the Polish character Kasia and Kathrin Hana who plays Herta. The cover says it is 17 1/2 hours long…my husband and I are going to settle in tonight and listen. Hard to believe this is actually happening. It will be available the same day as the hardcover and ebook–April 5th. 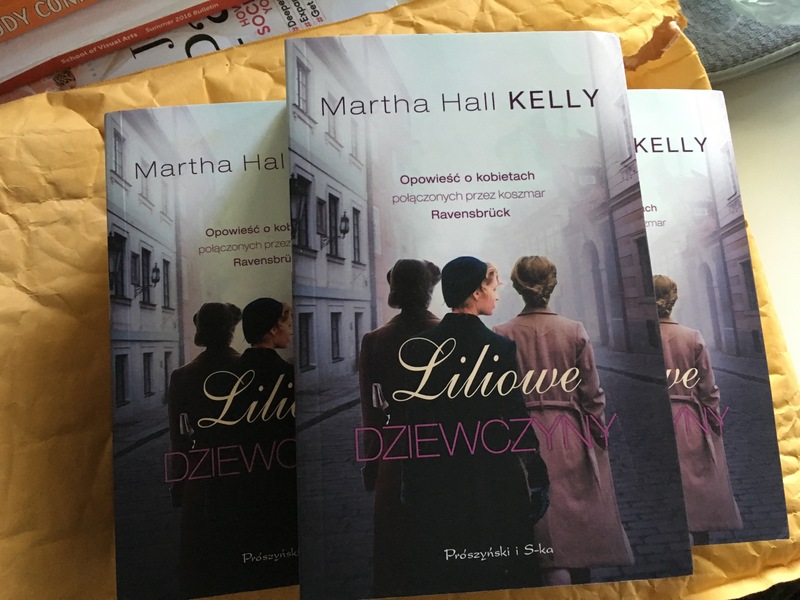 Check out the cover of the Polish version of LILAC GIRLS. 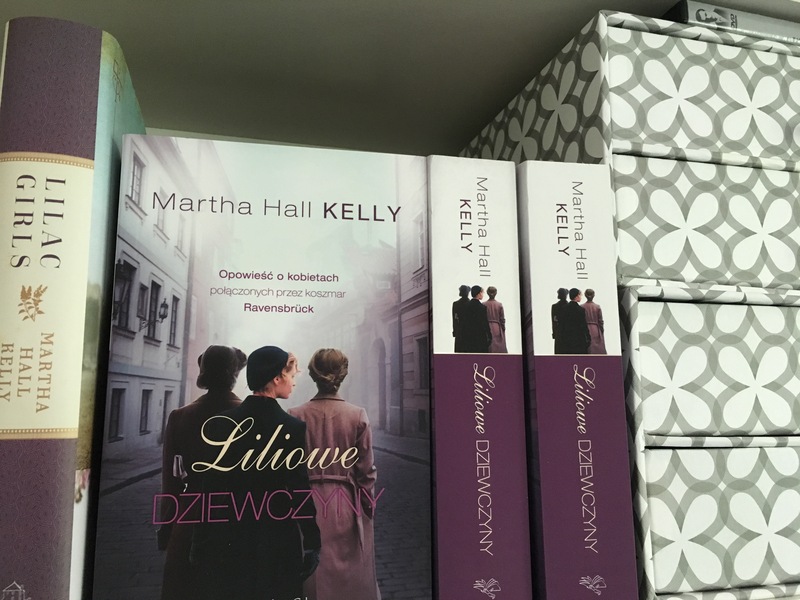 Love the cover for the version of Lilac Girls soon to be published in Poland. They did such a beautiful job. 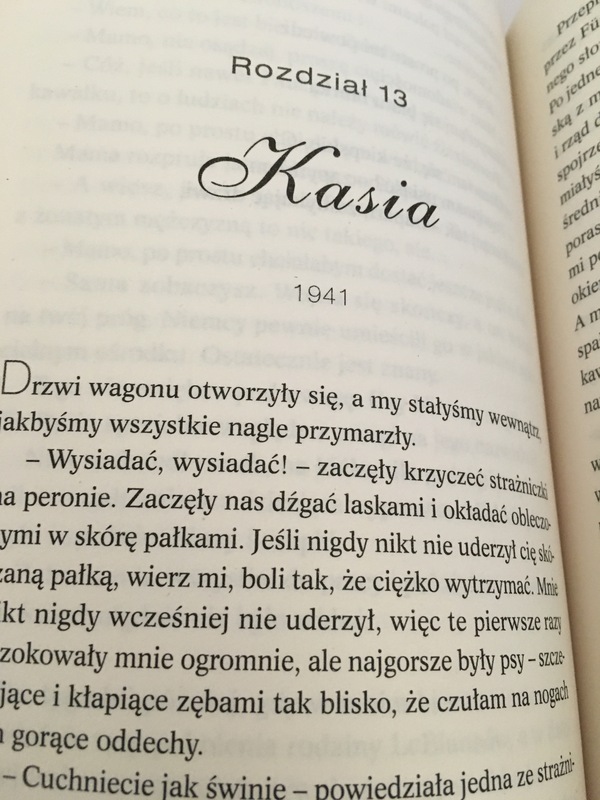 In case you don’t speak Polish, loosely translated, the subhead means: Story about the women connected by the nightmare of Ravensbruck. Great way to put it!